For a complete list of products, please visit The Original Illustrated Catalog of ACME Products. 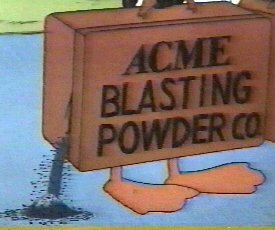 Due to its highly volatile and explosive nature, do not ignite ACME Blasting Powder until you are in safe location. 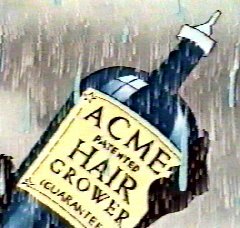 ACME Hair Grower (patented) is guaranteed make short hair long in a flash. 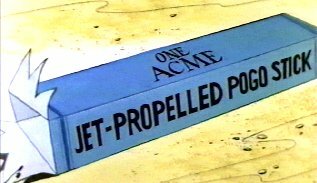 Another item in the ACME Jet Propelled Line of products is the ACME Jet Propelled Unicycle, which even the most unbalanced individual can ride with ease.